Jill Donohue is Senior Director of Marketing for Connection Enterprise Solutions, a leading technology solution provider. 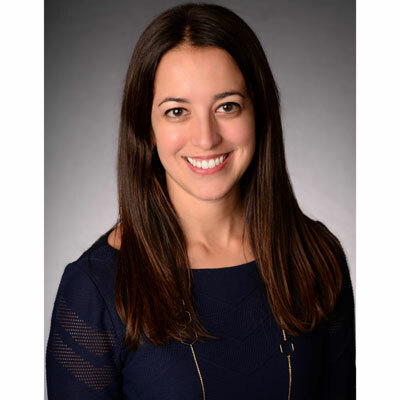 Jill is responsible for the creation, development and implementation of the marketing and e-commerce strategy, connecting enterprise clients with technology to enhance growth, elevate productivity and empower innovation. During her time at Connection, Jill has built a thriving, revenue-driven marketing organization, transforming marketing into a driver of sales and key contributor of the company's organic growth. Jill developed the EPIC Marketing Model, a proven system for accelerating sales through strategic programs, campaigns and events and driving tighter alignment with channel partners. In her role, Jill is also responsible for digital marketing, transforming the online purchasing experience for the enterprise, driving automation and developing innovative applications and tools to maximize growth. Jill has a passion to ignite change and lead business transformation through technology, innovation and thought-leadership. Jill founded Connection Women in Technology (WIT) in 2015, bringing professional and inspiring female IT leaders together to foster growth and empowerment. She is an advocate for women in technology, hosting many WIT events. Jill is on the advisory board of Blue Harbinger Investment Research and holds a degree in Economics and Marketing from the University of Iowa. By driving revenue and being a key contributor of the company's overall growth. Through engagement in predictive and integrated campaigns, our EPIC marketing model drove quality leads, pipeline opportunities and closed/won revenue in 2017. We built a unique e-commerce platform, MarkITplace™, transforming how clients shop and manage technology. With a focus to automate + innovate, we developed new tools and advanced applications for our sales team, partners and clients to connect. We partnered with industry leading companies, leveraging their technology, to train our virtual sales team, increase field alignment and host end-user Tech Meet-up events across the country. Giving back to the community has been an integral part of 2017. We partnered with organizations to support after school tech programs, initiatives to empower women and men to achieve economic independence and helping to rebuild the Florida Keys. I have the best team in the business and, together, we have caused disruption in this ever-changing IT industry. Our goal is to drive growth. We kicked the year off hosting Connection LIVE, our growing industry conference bringing together our entire IT ecosystem of customers and partners. We will lead with innovation and technology for the best, personalized experience for our customers. We will develop strategic programs, campaigns and events driving measurable pipeline and revenue. We will enhance our e-commerce platform to create the best user experience, driving entanglement & digital demand. We will stay laser focused on expanding our strategic partnerships to ensure together, with our partner community, we are tightly aligned and driving toward our common goal. I have not received any formal awards over the past year. Maybe 2018 will be my big year- ha! I have so many female role models for different reasons and throughout the course of my career. I like to take the best I see in people and try to learn from it and emulate it - whether it be strength, perseverance, passion, creativity or other traits that spark energy inside of me. It is hard for me to select only one individual. At this moment, if I have to say a name, I'll go with Gal Gadot. Not only is she Wonder Woman, but she served in the Israeli army and promotes feminism and equality. Just do it because you can! It would be to research and learn skills related to psychology and neuroscience. Understanding human behaviors and having the skills to analyze data, behaviors and drivers for individuals to take action. It would provide a stronger connection to clients, partners and team. The Miracle Morning by Hal Elrod. If you take the time to focus on yourself first thing in the morning, it will set the tone for your day. You will be in control and the day won't control you. I also started to read Impossible to Ignore by Carmen Simon, PhD. It's all about creating memorable content and interactions to influence decisions. This is what is currently sparking my interest to learn more about psychology and neuroscience as it relates to sales and marketing.